Professional real bearded Santa Claus. Don't have the time to fight the traffic at the malls. Then let Santa visit your family in the comfort of your home. 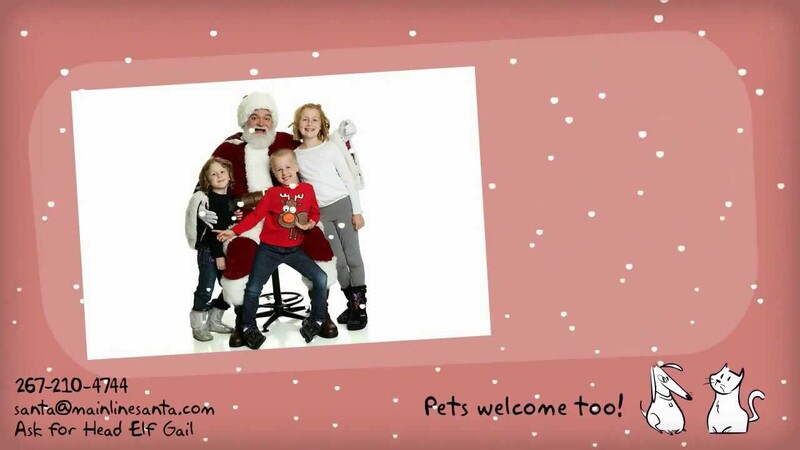 Looking for a Santa for your photo session or photo studio. Santa knows how to bring that special holiday smile out for wonderful picture memories. Bring the magic of Christmas that will last a lifetime. Another year, another fantastic event! Hired John again in 2015, and was not disappointed. He came with an even better suit, and his usual fantastic personality and service. My clients again, raved about how wonderful he was! We will never higher a different Santa again! He truly is amazing with the children and absolutely loves what he does. The Best Santa in town! I have been working with Santa John for 5 years now. He is Amazing! He does our Christmas Party each year - 35 + kids! Santa meets with each one individually - is always happy, jolly and professionally dressed! We even get him in on some parachute games! I highly recommend Santa John!!! Santa did an excellent job during the entire time he was with our party. Communication with him prior to our function was very good and plans were confirmed prior to our function. He arrived on time and it was great to see our little ones faces when he entered the room. He was very good in working the room the after sitting with the children and interacted with everyone there. We would recommend him for any Christmas party. Santa was great with the children! 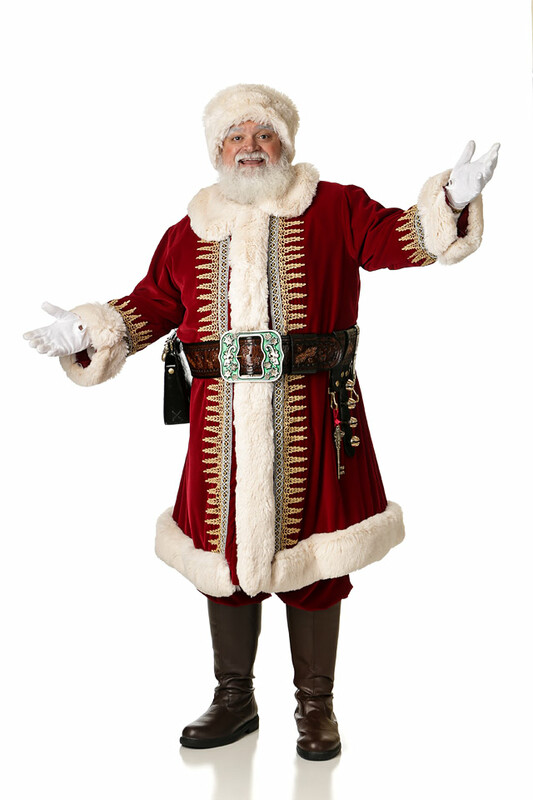 His outfit was unbelievably gorgeous and we would highly recommend him to anyone looking for a great Santa! All of the children loved him and he was great with the kids/babies who were scared of him at first as well. Every child ended up smiling! Santa came to our home on Christmas Eve morning for our family brunch. He was on time, extremely friendly, looked amazing, and an all around FANTASTIC Santa. My entire family was crazy about him. He did everything we asked. His little anecdotes about Christmas were great too! We will definitely be using Santa again in the future! Thank you for helping us make some great memories! We loved our Santa - he is very professional and also does a great job. Hope to have him again next year! The kids and parents had a great time with Santa, would book again! For two yeas now we have had Santa visit our family party. We have 10-12 kids ranging from 1-15. Santa is fabulous! He easily relates to all kids (even those over 21)! We had two bashful toddlers who both had long conversations with Santa! Dealing with Santa is pleasant and easy! My only hesitancy is that by telling everyone how wonderful he is, he will be come even harder to book!! Great job Santa!! We love you!!! Our event was a live broadcast from a shopping center, and Santa not only strolled around interacting with shoppers, but he came on the air and gave a heartwarming interview. He truly captured the spirit of Christmas and the magic of the season. His "look" was a combination of upscale, genuine, festive, Victorian, and authentic. Highly recommend! This is the 4th year we have had Pennsylvania Santa at our "Santa Tea Party" and he always does a magnificent job for us, while arriving a little early, and leaving a little late, to greet that final child in line. Parents and children love him, as he interacts with everyone, and is so personable and approachable. This year he even left his throne, to take pictures with a table of senior citizens (some in their nineties) from Brandywine Senior Suites. Bravo! AMAZING SANTA - The Best! We have had Santa at our corporate events for 3 years in a row! He is beyond amazing! Straight from the North Pole! Kind and gentle with the children, taking the time to sit with each child! Highly recommend! Always book him at the end of current years event for next years event! He came on time and was awesome, especially with the kids! This was the first time I'd had Pennsylvania Santa Claus at an event. I had high expectations and he far exceeded them. He was easy to reach prior to the event, he was early to the event, and was overall an absolute joy to work with. His outfit is very authentic and all the kids loved him! Looking forward to hiring him again next year and would recommend him to anyone! We hired Santa to come to our first annual Holiday Party! The kids and adults loved him! He was professional, authentic, nice and personable! He made every child in attendance feel special! We are sure to have him back every year! Thank you for making our holiday party so special!!! 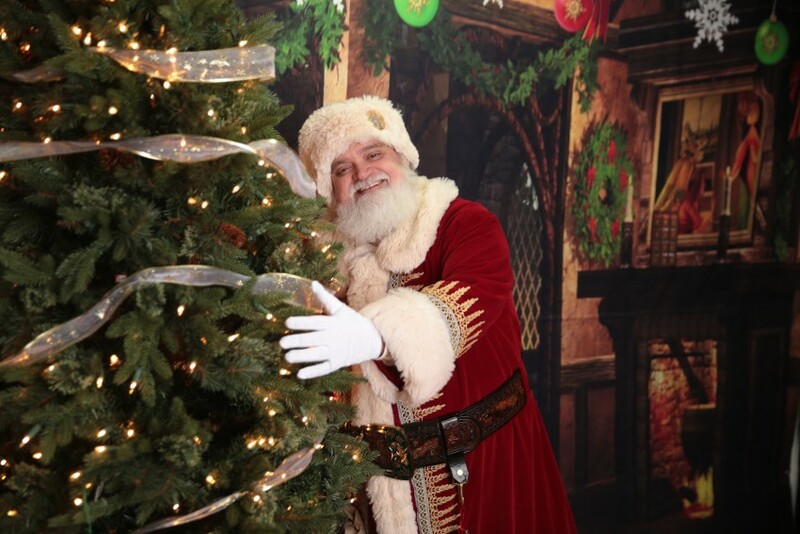 Santa Claus was a great addition to one of the holiday parties that we hosted at The Brunswick Zone XL. He was prompt, flexible with the needs of our clients and added a wonderful energy to the party! Our visit from Santa Claus was on Christmas Eve 2014. It was so magical and Main Line Santa hit the mark! He was excellent with the kids and adults alike, and took the time to ensure all pictures were able to be taken and shared stories from the North Pole. It really brought a special touch to my family's Christmas Eve and I highly recommend! Very professional and easy to book/plan with. John from the start was amazing! He was great communicating his services and was very reasonably priced for the high level of service provided! He was friendly, easy going and wonderful with all the children! He did an all day event and my clients raved about how wonderful a Santa he was! The children were thrilled and he never failed to make the little ones laugh! I highly recommend him and plan on hiring him again! Thank you SO MUCH John! The absolutely most perfect Santa! If you need a Santa for any event, I would highly recommend John. He was charming, friendly and wonderful with children. His wife and he were both great and very helpful for what I needed. I hope to hire him again next year... so I plan to book early, since I am sure he will be in high demand. Santa took time with the children to go over their lists and listen to them. Excellent communication between Santa and Customer. Reasonable price considering we made him drive 200 miles. Authentic real beard. Great experience overall! Santa visited our volleyball practice during the holiday season and was a big hit. You'd think he'd be pretty busy, but fortunately for us, he showed up right on time, mingled with our players and posed for photos. Many of our youngest kids were thrilled to see him but believe it or not, our 16s, 17s and 18s players were probably the most excited for the chance to pose with Santa. The real Santa the real deal. We used him for a company function 100% satisfied. Great personality and professionalism. Highly recommend. A family visit home visit can be as little as 30 minutes for a small family, up to two hours or more with a large family gathering. During the visit Santa will talk to each child about their Christmas wishes, how they have done for the year and if they are on the naughty or nice list. This will also included the opportunity for the family to take pictures of each child with Santa and of course a family group pictures. Santa's elves are very busy and will not be able to help take pictures. Maybe a kind hearted friend of the family will help take the pictures. This might hope ensure that they are on the nice list. I ask for you to wrap a small gift that would be on the children's Christmas list. Nothing big, something small and not very expensive. Santa wants to make sure the big gift is under the tree. Each gift should have the child's name written on the package directly. Sometimes tags fall off in the bag. Santa will meet you outside the house were he will receive the gifts and put them in the bag. Then after a minute or so Santa will enter the home and greet everyone. 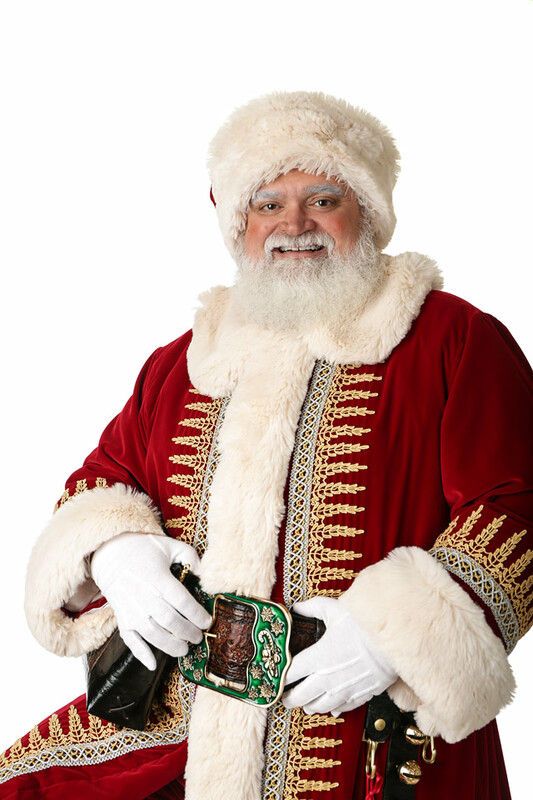 Business visits may include a breakfast or brunch with Santa, Pictures with Santa, A meet and greet walking the halls or visiting areas and any number of other creative ideas can be accomplished with the visit. My name is John Bobik and have been a family entertainer for most of my life. 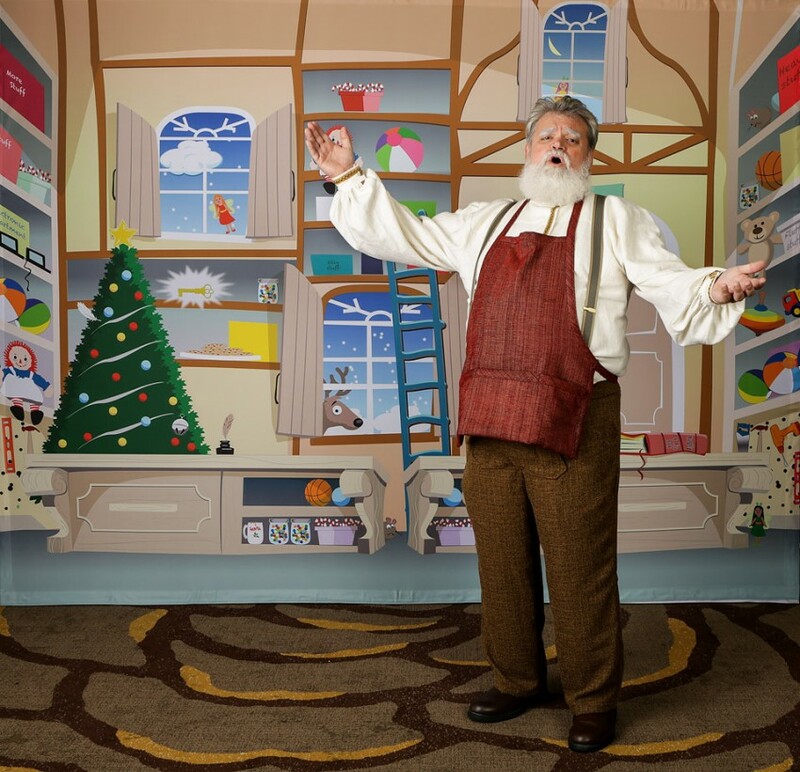 I started portraying a real bearded Santa Claus several years ago. I saw something missing with the Christmas season, that was Santa. I know his picture is everywhere but in this fast times we live in he seems to get pushed off to the side and forgotten what it is like to spend time with the jolly man. I decided that Santa home visits could bring the magic of Christmas back in to the homes for people that celebrate the season. Growing up Christmas was and still is my favorite time of the year and my fondest memories of my youth were the days leading up to the holiday. I hope that I can bring the touch of magic into your home and supply lasting memories of a lifetime. I am available for Corporate and other events, contact for pricing.